If I fits, I eats. So I've been thinking and dreaming about this game for a while, and have read and saw a lot about being able to power a house with a generator and such. I think this is amazing, but shouldn't be where it stops. I think it would be great to be able to take lights, motors, switches, etc... and use them to build our own contraptions. Maybe a light sensor that trips when a zombie hits a string connected to a switch, or an elaborate string of wires designed in different logic gates to create basic control systems for lights and equipment. You could even go as far as having different levels of electricity. A generator may only produce 5000W of power at 120V but two in parallel could make 10000W at 120V. Series would create 5000W at 240V. Something this low level could be combined to create some pretty amazing mechanics in the late game, and early game alike. Wire could become a bit complicated, but in my mind, the best course to take here would just be to have wire that you can lay on the ground or walls. Like redstone in Minecraft, but allowed to go vertical as well as horizontal to the ground. In essence (TLDR) I would love to see a "Minecraft redstone" style electrical system that would allow players to use basic logic and electrical fundamentals to create traps and survival tools. This may not be so much for main game, but for mods in the future. Please like/comment if you agree, and if you don't agree, please share why you think this wouldn't work (politely please). And besides, you'd have to alter the voltage frequency in order to run these pieces of equipment together. Wattages are present for demonstration purposes only. I love the idea of this complexity, I think in the future it's something we can look into for sure. I would love be able to create small circuits they would work very well with traps. Hmm, I'll see what I can do. I'm not sure how I would create a picture as it's more a concept/mechanic than an item. Also, as an electrical and computer engineer by trade, I understand that series and parallel generators are a little unspecific, but I mean it more in the sense of more power rather than more voltage. You can use multiple generators to bump up the power for a single motor or run several motors off of a few generators in parallel. Just a basic design without going too far into the realm of parasitic's and electron flow is all we really need. 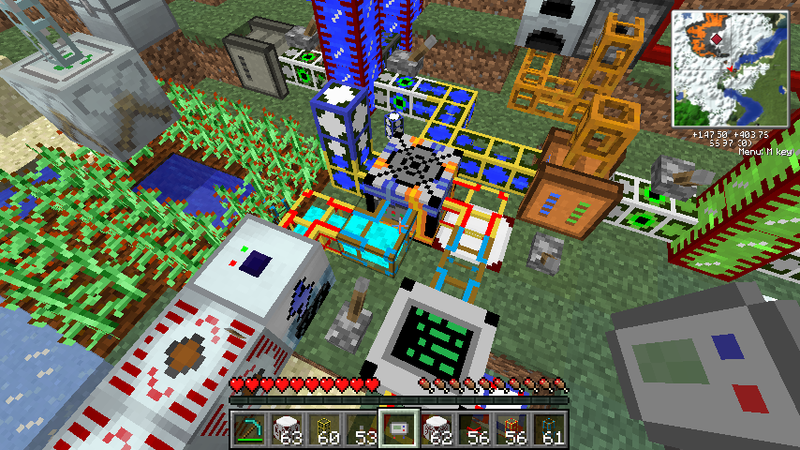 Leave it to mod makers to release more complicated systems and such. If you consider this, player hosted servers could even band together to create power generation stations and run wires to everyone's houses to attempt to power a village or small town. This would encourage teamwork and such, which would be really fun in this environment. This might even be grounds for more efficient power generation methods. Maybe rearing an abandoned water mill would allow the player(s) to generate constant power. Wind power, water power, fuel power etc... could all be easily added. I also wouldn't think that having a 100% true to real world system would be a good idea. Sure three phase 480v power systems seem cool, but it's a bit complicated for your average players, and may scare some away from even touching electricity. I would, however, recommend having bare and insulated wire. Imagine what 1000v at a few hundred amps could do to a zombie walking over a bare wire..
Maybe there could be a blueprint type system for some basic/Medium circuits/traps and a custom option for players that want to experiment with different voltages,connectors,cables ect. or maybe some pre built designs with the option to customize. also I wouldn't mind a risk factor e.g trying to send 500v down wire rated for 12v. that would fry the circuit or possibly yourself. Im just gonna add a small feature that would be a cool adition to the whole series/parallel circuit thing, if you parallel connect two generators you would ofc get more power, say that one gen creates 120v, that would make a normal light bulb shine at about 50% efficiency, so you wouldnt be able to see to much, now I think that would be a cool concept, having to parallel connect two generators, or you could make it so the bulb run out, and the less Voltage you supply to it, the less light it would make but it would also last alot longer. hes another idea would be having it so that lets say you had a chain link fence you could hook the chain link fence to the generators and essentially create a electric fence which you could use to keep zombies and players alike but to prevent people having God bases you could do is make generators be shot so they get damaged and if you don't have alot of power what would happen is that lets say a zombie or player touches the fence it would then cause your generator to overload and get damaged prob fry some wiring or something and you would have to replace them and all that good stuff. Yeah love this idea, something to think about for the future! this system could be used for is setting up cameras and maybe remote traps you where you could be sitting in one room and watching players as they move in towards the center or something you could setup different traps and activate them as to kill people and you could have a system to watch the outside of your base to keep watch from where zombies and players are.